Director Zara's filmmaking journey emerged from her own experience being in an inter-cultural relationship. While she was fortunate to have the support and love of her family, she realised this isn’t the case for many women. The strong stigma attached to inter-cultural and inter-faith relationships within Muslim communities can have a serious impact on one's emotional and physical well-being, forcing women to hide their relationships and live double lives for fear of exile or conflict with their close family and friends. Zara wanted to discuss and explore the cultural and emotional challenges many of these women face within their families and communities, and find out why it’s taboo to love across faiths – why is there so much shame, and so much secrecy? The aim of Hidden Heart is to shed light on the courage, joys, and suffering of women crossing these faith and cultural divides. In candid portraits, the film's protagonists struggle to understand their heritage, faith, and roles in a multicultural society. 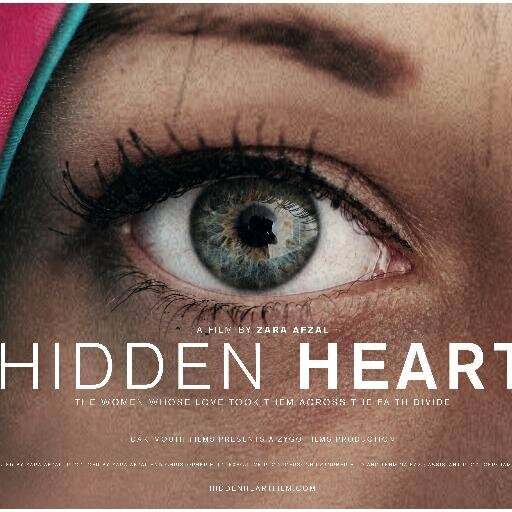 Zara hopes that Hidden Heart will generate discussion among inter-faith organisations, women's, civil and human rights groups, scholars and religious leaders, and invite more stories to be shared that might otherwise be kept hidden. She hopes for it to be part of a larger movement that brings strength to interfaith/cultural relationships grown of love. Next: What's it Like to Be a Muslim in Britain Today?